Just because you want to hug Giada doesn't mean Giada wants to hug you. There are a few cardinal rules when it comes to etiquette around meeting—and touching—strangers for the first time. Handshake, yes. Hug and cheek-kiss, maybe—depending on how much history there is between you or how closely related the stranger is to an intermediary. Whatever you do, don't ask someone if they're pregnant, don't surprise-touch a pregnant woman's belly, and, generally a good rule to live by, is to keep your hands to yourself—especially if you're meeting celebrity chef Giada De Laurentiis. Now that De Laurentiis' restaurant in Vegas has been open for a few years, fans of her Food Network show know exactly where to find her—and because watching her on TV feels as familiar as having her as a guest at home, meeting the chef for the first time can feel like reuniting with an old friend. And sometimes fans can get way too familiar. "For sure [fans want to get close]," De Laurentiis told the New York Daily News. "It's the only place that people expect to see me and sort of be able to touch my brand. I wish I could say no touchy-touchy, but it doesn't work that way." It also doesn't help that she's one of the few women chefs in a landscape of male-dominated Vegas kitchens. "Since I am a female chef, they are a little less intimidated to come up to me," she told the paper. "And secondly, they just want to thank you for what we do." Over the years, De Laurentiis has gotten much more used to her fans' chumminess—and has reconciled herself with fame. "I am becoming more comfortable being myself in my own skin and I think that happens with anybody as we get older," she says. "We get older and we get more comfortable." 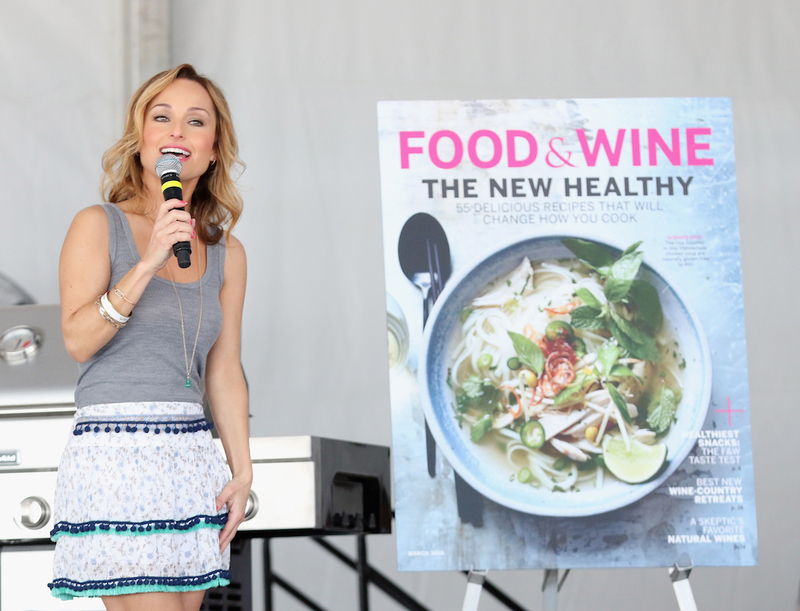 Last week, the Food Network announced that De Laurentiis has signed on to host a how-to series, called Giada's Summer Entertaining, on the network set to begin airing later this year. "Giada De Laurentiis is an expert in her field and a much sought-after guide for home cooks looking for help for their own gatherings," GM at Scripps Networks Interactive Allison Page told Variety. "With new episodes on the way, our viewers can continue to count on inspirational recipes and entertaining ideas from season to season to help elevate their own celebrations and get-togethers all year round."